Project success rates continue to be weak. According to the latest PMI report, for every US$1 billion invested in 2016, US$122 million are wasted. Even worse, this is a 12 percent increase over the past year. In another recent research report, the Standish Group found that fewer than 30% of all information technology projects are successful. Just as business organizations are realizing the importance of project management to the success of projects and the performance of their companies, the U.S. Government is also taking action. On September 22, 2016, the Program Management Improvement Accountability Act (PMIAA, H.R. 2144) passed the House with 94% support. This article explores the actions and activities between government and project management and the implications for project management professionals. The value of project management, while not necessarily universal, is proven to improve collaboration, risk management, efficiency, decision-making, and project outcomes.1 Despite the evolution of project management practices in the private sector, government project statistics indicate a dearth of high-performing projects. Only 64 percent of government projects achieve their goals. The Government Accountability Office’s (GAO’s) 2015 High-Risk List indicates project and program management challenges in many of the 32 risks. The list speaks to project and program vulnerabilities due to waste and mismanagement and addresses the need for transformation in project and program economy, efficiency and effectiveness. Some of the key areas for improvement include transformation at the U.S. Department of Defense, managing risks and improving healthcare at the U.S. Department of Veterans Affairs, and the management of oil and gas revenues. Given the need for improving project and program management in the U.S. public sector, PMI and other institutions publicly expressed strong support for these acts. Even if the U.S. President does not sign the bill and pass it into law, the overwhelming support in the Senate and House demonstrates the political strength of this proposal. Furthermore, this law will likely affect not just the federal level, but also filter down to the state and local government bodies. Other countries such as the United Kingdom and Australia are also focusing on improving project and program management on the national level. For project management professionals, whether in the private or public sector, bills such as these mean more project management jobs and greater opportunity for growth. This is an important time to consider upskilling. For project management professionals without certifications, consider the Certified Associate in Project Management (CAPM) for entry-level project management jobs and recent college graduates or the Project Management Professional (PMP) for experienced professionals. But perhaps more important, this recent act is not “project management” but rather “program management” related. This demonstrates that the government is examining their endeavors on a grander scale. Thus for those with PMPs, it is time to consider the Program Management Professional (PgMP) or even the Portfolio Management Professional (PfMP). There are also specialized certifications to consider such as Risk Management (PMI-RMP) or even Project Management Office (PMO). According to PMI’s 2013 Talent Gap Report, the U.S. demand for project managers is expanding by more than 12 percent annually, resulting in over 6 million new jobs by 2018. There will be impressive growth in years to come. Are you ready? Professor Te Wu is the founder and CEO of PMO Advisory and an assistant professor at Montclair State University’s Feliciano School of Business. An award-winning project manager, his experience includes managing large and complex projects, programs, and portfolios. He is certified in Portfolio (PfMP), Program (PgMP), Project (PMP), and Risk Management (PMI-RMP). Under his leadership, PMO Advisory is one of the most specialized project management training firms in the world with certification courses across most of the PMI certifications plus project management office. His profile is available on LinkedIn at www.linkedin.com/in/tewu1. 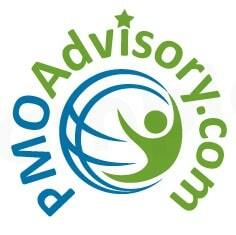 To view his company’s newsletter for the latest insights and courses, visit www.pmoadvisory.com/newsletter. Project Management Institute, “The high cost of low performance,” Pulse of the Profession., pp. 1–20, 2014. J. Lynch, “Standish Group 2015 Chaos Report – Q&A with Jennifer Lynch,” 2015. U.S. House of Representative, S. 1550: Program Management Improvement Accountability Act. 2016, pp. 1–19. Program Management Improvement and Accountability Act of 2015 (HR 2144) makes Project Management Certification, PMP and CAPM, a smart move! Guruface; 2016. Project Management Institute (PMI). Improving program management in the federal government. PMI; 2016. Project Management Institute (PMI). U.S. House of Representatives Approves the Program Management Improvement and Accountability Act. PMI; 2016. Project Management Institute (PMI). Project management talent gap report 2013. PMI; 2013.